As per received confirmation Huawei Nova 4 will be launched on December 17 in China. 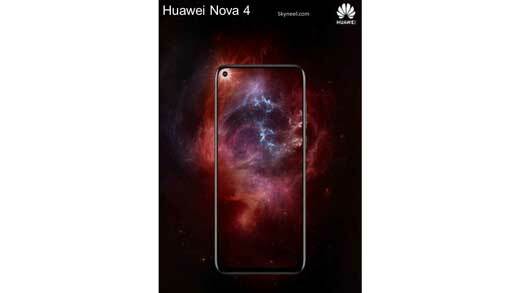 During the announcement, the company has published a poster and the main tag line of this phone showing off Huawei Nova 4 Launch on 17 Dec with a punch-hole in front camera. This smartphone powered by latest Kirin 980 SoC, 6GB RAM and 128GB storage. This smartphone runs on Android 9 Pie Operating System with fingerprint sensor. This phone also support dual camera which is setup on the front as well as back just like Nova 3. The phone might also flaunt an in-display fingerprint sensor as no sensor can be seen on the front and according to the report on the back as well. As per latest reports, Huawei Nova 4 will be offering a full and high screen-to-body ratio. This smartphone comes with notch-less full screen display with a small hole at the front-facing camera. This smartphone paired with 4GB / 6GB RAM. Other specification regarding this smartphone yet to not revealed by the company. It may assumed that company keep focus on his youth and female users, Huawei Nova 4 smartphone likely to be available in gradient color choice. Before a few days ago Huawei company announced and released a poster in which showing off, that Nova 4 comes with an Infinity-O-like display. It is similar to the one which will make an appearance on the Galaxy A8. This smartphone powered by octa-core Kirin 980 SoC which comes with better battery life. Huawei Nova 4 comes with 6 GB RAM, 128 GB internal storage. This smartphone comes with better fingerprint sensor, and will runs on Android 9.0 pie operating system. Huawei latest smartphone Nova 4 looks to compete with Samsung by launching his new smartphone. Company launched latest smartphone with the same design as the rumoured Samsung Galaxy A8. Company compete with Samsung in launching a full-screen display with a punch-hole design for the front camera.